After 10 years of development, the Wake Forest Institute of Regenerative Medicine has finally unveiled a 3D printer that can craft simple tissues, such as cartilage, into complex shapes suitable for implantation. The printer uses cartridges filled with biodegradable plastic and human cells bound in gel form, and it can grow muscle, cartilage, and even bone. When implanted into animals, these crafted tissues have been shown to survive and even thrive for an indefinite amount of time. 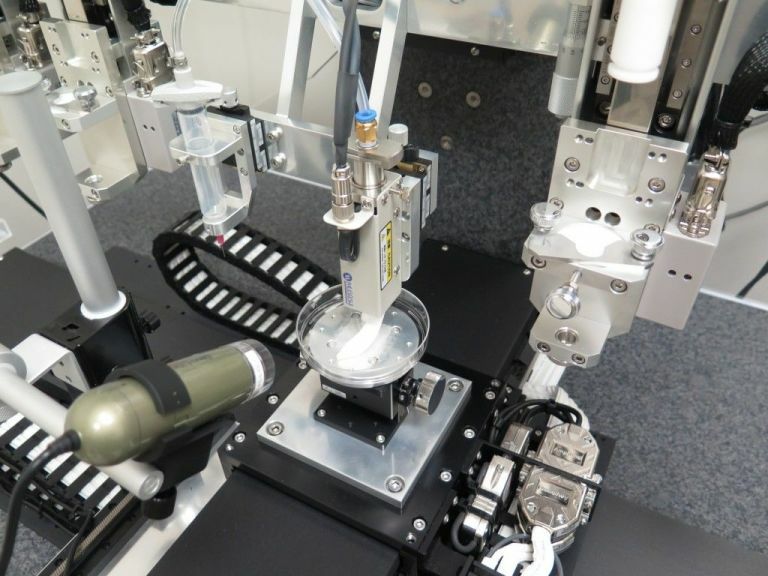 The new 3D printer is outlined in the journal Nature Biotechnology. As you may have guessed, printing living tissues and body parts is no easy task. Obviously, these tissues need an influx of blood and other components in order to stay alive. And sadly, our current 3D tissue printers aren’t able to print complex features, such as the necessary arteries and blood vessels. As a result, with thicker structures, the cells get starved of these nutrients and die. To that end, while this isn’t the first bio-3D printer, this technology is remarkable given its ability to create larger living tissue structures. Until the introduction of ITOP, the largest printed structure (kept alive without blood-cells) was only 0.007 inches thick (which is amazingly small, about the size of a dust mote). This device is able to circumvent the size limitations by fabricating a latticework of microscopic valleys into the various bones and tissues that it prints. Coupled with the biodegradable plastic scaffolding, these valleys allow blood to trickle its way in, keeping tissues alive for months before they are ready to be implanted.